The Japanese Mascots on John Oliver Are Even Better Than You Think – Why Am I Not There? Hopefully you watch HBO’s Last Week Tonight with John Oliver regularly and caught his segment on Japan’s adorable political mascots. They are used to promote and attract attention to various government agencies and small cities around the country. To understand this phenomenon, just look at Hello Kitty. The obsession with the cartoon cat can translate over to everything in Japanese culture. It’s basis is Kawaii, translated means “lovable”, “cute”, or “adorable”. Check out this wikipedia entry on it. One of the videos feature on LWT included a clip of Funassyi (mascot of Funabashi, Japan) on a Japanese game show. He showed a small clip, but you need to watch the whole thing. It’s just as gut-busting hysterical. As with any Japanese game show, there’s some random talking head in the corner watching and laughing. If I ever gotten some life-threatening illness and given a few months to live, this is how I want to go out: wearing a Phillie Phanatic costume while running through a field with explosions going on around me. There’s more. Let’s see Funassyi in a soap box derby. Look out for those corners, Funassyi! 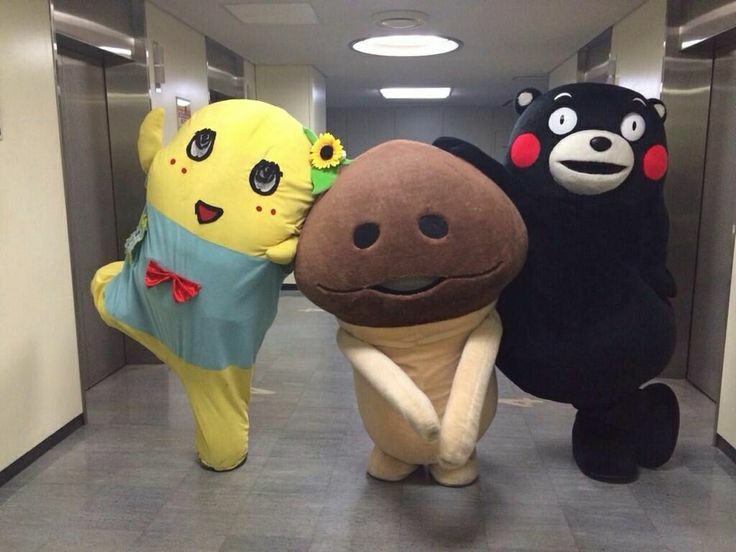 The other mascot featured on the show was, Kumamon, the mascot for Kumamoto Prefecture. According to the Japanese Times, the weird bear-looking character generated ¥200 million in income in 2013. All these clips remind me that I have to get to Japan. The Akihabara section of Tokyo will satisfy all your weird Japan cravings.